May showers bring underwater flowers? The swells were stacking up against the inlet giving us a brief rough patch until we broke out into open sea and had a smooth ride out to the STOLT DAGALI on the Independence II today. We were accompanied by leisurely long period swells that if not for the peppering of light rain would have been glassy. 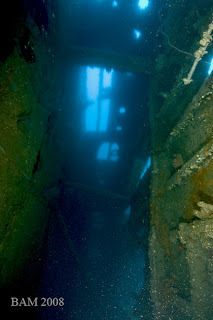 Dave got us tied in to the tip top of the STOLT at 55 fsw in short order and divers started hitting the water. Reports of wildly varying visibility started coming back as I was getting dressed and after sifting through the available data and determining the overall consensus was GOOD, I finally ended up splashing with the intention of taking pics. 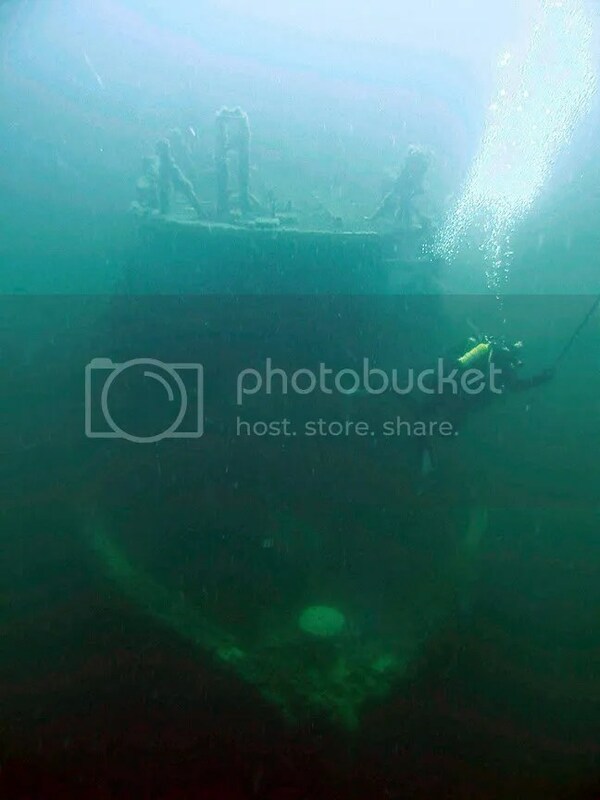 I knew it was a good choice when I could see the wreck laid out below me from 20 feet. I hit the top of the wreck quickly and after getting a little more organized I dropped down along the break to the sand at 125 fsw to get out of the strong surge on top of the wreck. On the bottom it was a clear 30 feet (maybe a little more) of visibility and about 42 F. After working my way along the bottom I realized my computer decided it wanted to be in gauge mode for this dive. Figures, the one dive I don’t bring tables. Oh well, I knew about my schedule for up to about 30 minutes or so on the bottom so I’d just keep it a little shorter than I wanted and work my way up along the hull. Dave had mentioned the anemones were in full “bloom” and boy was he right. 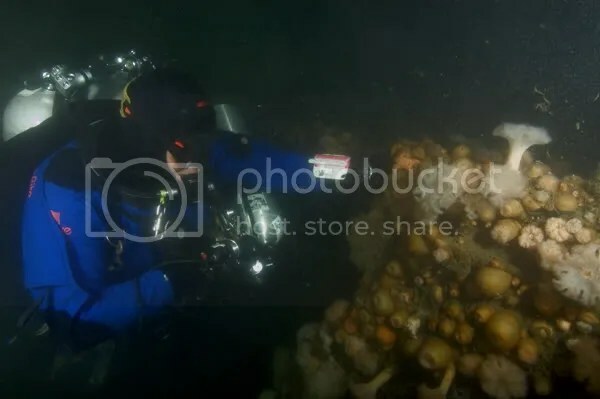 Every bit of steel acreage on the wreck was covered with large colorful anemones and it was the prettiest I ever remember seeing the STOLT. 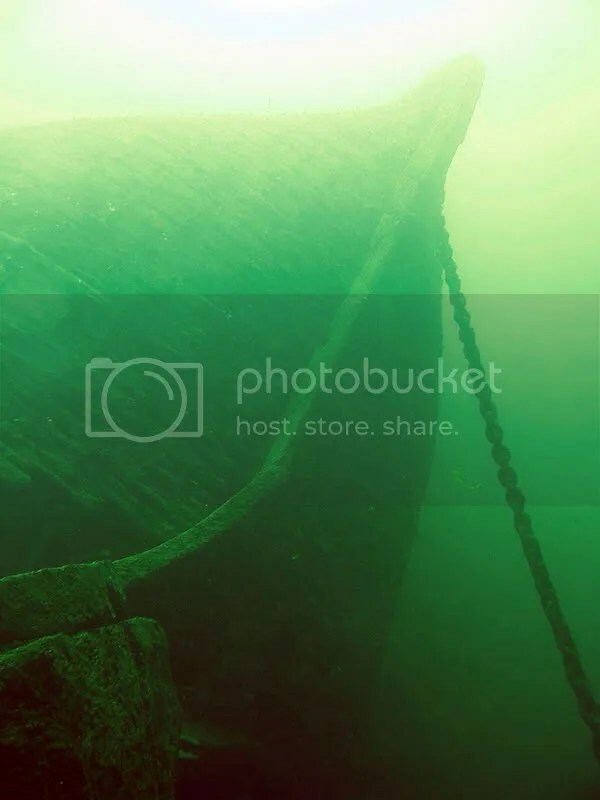 After a trip to the prop which I had never visited before, I came back around the stern and lazily worked back toward the anchor line taking in the sights. As I was trying to get my stuff stowed away for departure I dropped my new tripod down into the wreck (doh) and had to take an excursion back down 30 feet or so to get it. Coming back up I looked up the line from the top of the wreck and sure enough I could make out the silhouette of the Independence waiting for me 55 feet above. Conditions like these make you quickly forget about a little rain and some clouds.